Buying a home is most probably the largest single purchase of your lifetime. In most cases, you will be buying an already established home, which may range from being a couple of years old to decades old. Although it is natural to move in as quickly as possible, it is wise to first have a full inspection of the home (plumbing, structure, etc.) Most importantly, you should not forget to have a thorough electrical inspection of your potential home before you sign on the dotted line. A comprehensive inspection by a licensed electrician may involve, but is not limited to: Determining potential electrical hazards Inspecting the current healt. Modern houses in Australia mainly showcase the kitchen as one of, if not the centerpiece of the home. With the recent comeback of family traditions such as dinner catchups and inviting friends over, it’s no wonder that kitchens play a very important part of many Aussie families’ lifestyles. Kitchen renovations remain one of the leading home upgrades planned and done by homeowners today. Whether your kitchen renovations plans are for increased home resale value, or you simply want to improve the look and function of your kitchen, make sure that you consider the following electrical upgrades and renovations: Let There Be (More) Light . 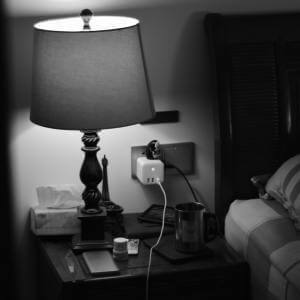 Nowadays, the average home is outfitted with multitude of power points for power appliances but few are designed to accommodate the needs of multiple charger types, thus forcing homeowners to perform a juggling act to recharge their tablets, smartphones, and other devices in the same power point. USB-enabled power points are the solution for busy families since they have the capability to keep up with modern charging needs while leaving your standard three-pronged outlets free for use. 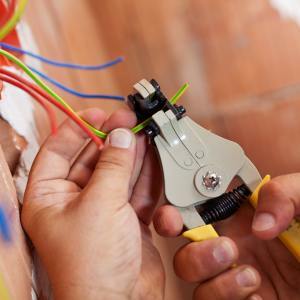 In Australia, any electrical repairs or upgrades need to be handled by a qualified electrician who have the right tools and experience. We can replace some,. Just like a car, air conditioning units need regular servicing by a licensed refrigeration mechanic to ensure peak operational efficiency. Whether it is a refrigerated or evaporative system, you should consider having your air conditioning units serviced at least once a year. Doing so can save you money on repairs or replacement in the long run. 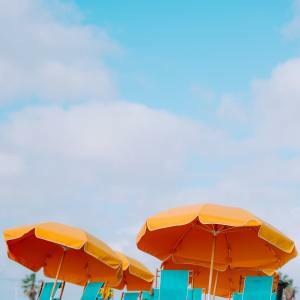 Here are some of the most important checks and servicing that need to be done for your air conditioning unit to keep it in tip-top shape: Clean or Replace the Air Filter Most modern air conditioning units are built not only to adjust internal temperature to a comfortable level but a.
It’s summer time and everyone is planning their perfect holiday. Whether it is flying off to Bali or driving to see the Uluru, it is important to secure your homes and make sure that all electrical units have been checked for fire safety hazard. Before you take your bags on your trip, here are some simple vacation safety checklist for your electronics: Don’t Leave the Lights On The Whole Time You’re Away We’ve heard our friends and family talking about how they secured their homes when they were away on a vacation, and the most common step they mention is to leave the front light on to deter burglars and intruders. Yes, studies . Evaporative vs Refrigerated Air Conditioning Systems – Which One Should You Choose? 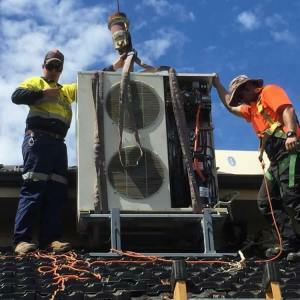 For most homeowners in Perth, having an air conditioning unit serviced or replaced is one of those “once in a blue moon” events that people either postpone or forget entirely. That is, until the air conditioning unit breaks down and you have to put up with the summer heat until the unit is fixed or replaced, Truth be told, having your air conditioning unit serviced regularly will help your home air conditioning unit last for years even decades before you need to consider having it replaced. But if you are currently in the market for a new air conditioning system, you might be having a hard time deciding whether to get an evaporative unit . 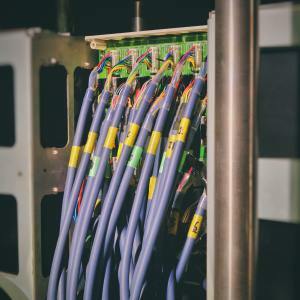 Data and Network Cabling for my Home – How do I take advantage of the nbn internet connection? In this day and age of digital technologies and faster internet, most homes are still only equipped with one or two data and network sockets (typically RJ45 sockets). The sockets are typically only located in the designated office room in the house, while the remaining areas usually only have WiFi as the only available internet connection option. With the rise of home automation through a variety of connected home assistants and the introduction of faster fixed-line internet such as the nbn access network, it makes more and more sense that homes need to have a more up-to-date data dn network cabling system in place. Doing so also future-proof. What process should you follow if you have a power outage? If you are suffering a power outage, follow these steps to get your lights on again. Check your neighbors to see if their power is out, too, or is it only your house is affected. If only your lights are out, check your circuit breakers or fuses. Try repairing the fuse or resetting the circuit breakers. If the breakers won't reset or the fuse blows again, try unplugging all the sockets. Don't forget those hard to get to ones such as the fridge or dishwasher. Once everything is unplugged, try and reset the breaker or fuse. If this works you can isolate the source of the problem by plugging in an appliance until you fin. Should I put a battery backup on my existing solar system? To determine the correct answer to this question we need to ask some questions! Q: How much of your electricity consumption does your existing solar system cover? A: Depending on when the system was installed and whether or not you’ve had a feed-in tariff, your system may only generate enough power to meet a small portion of your electricity needs – or it may generate more than you actually need. This will dictate the best approach for sizing your battery storage. Q: What energy storage system size would best suit your needs and budget? Do you want to go off-grid at all costs (possibly to spite your utility), or do you view energy . Benefits of Inverter Air Conditioning Let’s see what would be the benefits of upgrading a non-inverter air conditioner with an inverter air conditioner:- At least 30% - 50% cheaper to run as it consumes less power Far quicker to achieve the desired temperature The startup time is reduced by 30% Much quieter No temperature fluctuations, maximizing comfort level No voltage peaks from compressor All inverter air conditioning are heat pumps which in itself is one of the most energy-efficient form of heating Is it worth upgrading to an inverter air conditioner? So, in summary, an inverter air conditioning can reduce you.